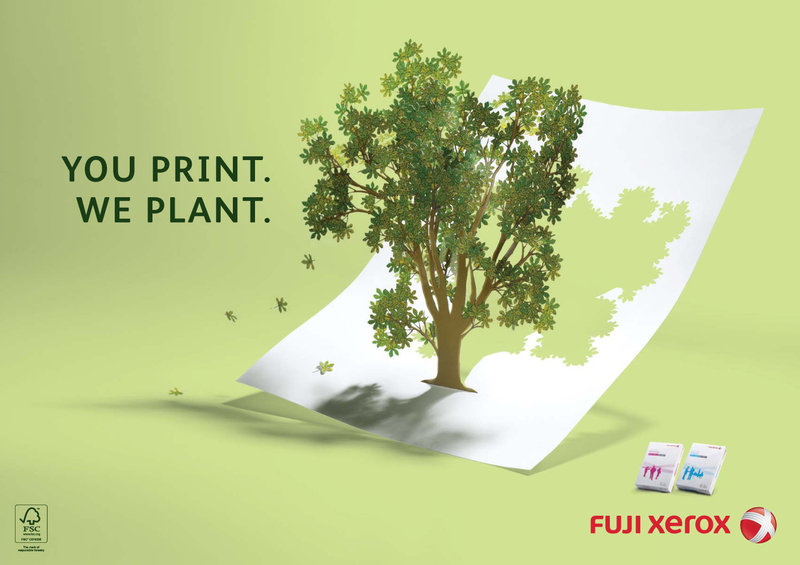 Our latest campaign for Fuji Xerox Singapore. Driving the message home to consumers around the CBD are digital, posters and a fleet of newly designed trucks that highlight Fuji Xerox green credentials. Each truck features a QR code which when snapped by passers-by, takes them to a site (www.tree.sg) where they can register for a free “Go green” seminar on energy conservation sustainability and improving efficiency in the office. The visual features a eucalyptus tree, which was hand-cut by partner Nick Tan over 3 days.